Block #47 for Beth B. 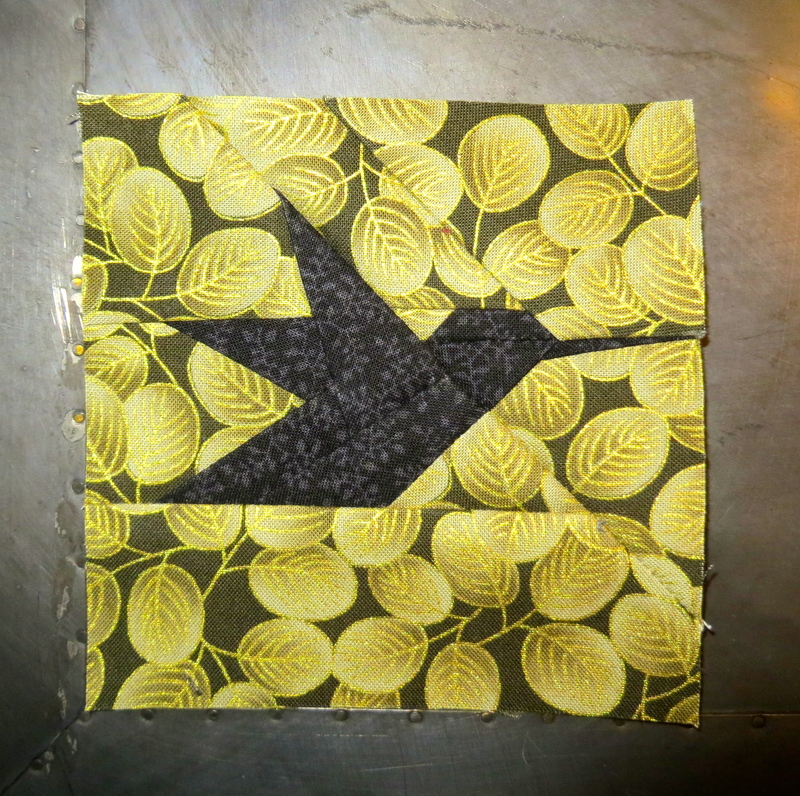 The block is dedicated to my quilty friend Beth. I met Beth at a now defunct appliqué society. The best thing about Beth – She’s my age! Well, close enough… I have plenty of quilting friends that are older and I love them dearly. But most of them are retired. And, let me tell you, it is depressing to see how quickly they are turning out projects now when I could go for months without sewing. Beth has a full time job too so she can commiserate with me. Both of us are in our 30’s, both in “man’s world” type of professions (her more so than me), and we both love to quilt. So a Saturday lunch can, and did, turn into a 2-3 hour event. 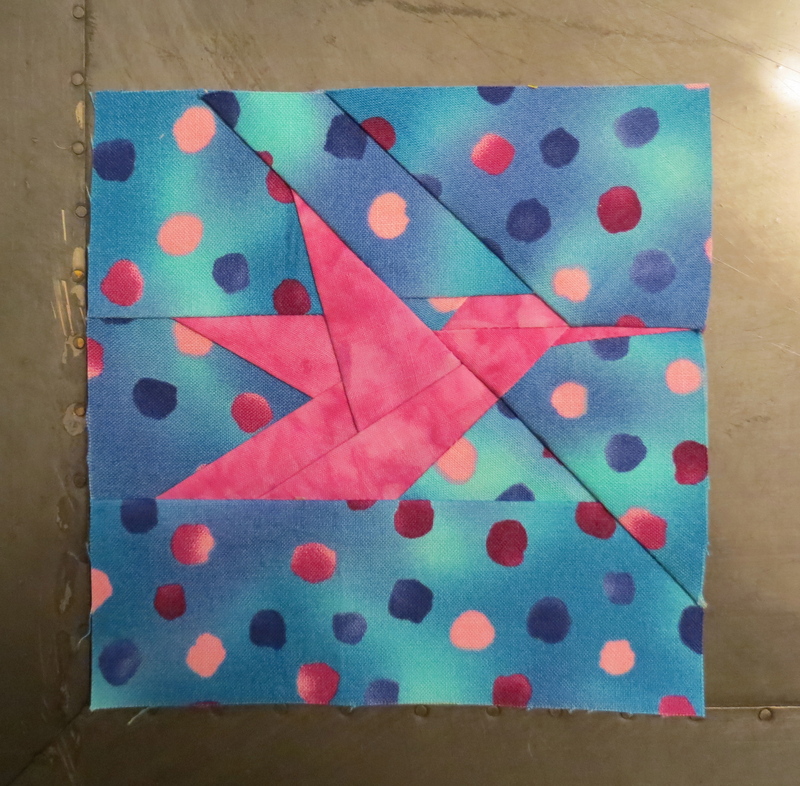 Because… Beth is an amazing hand quilter. Yes folks, I said HAND quilter. I am in awe of her dedication to hand quilting very large projects. I want to do that and she has inspired me to start practicing on some smaller projects but I have a long way to go to get to her level. Block #46 For Jennifer X. The block is dedicated to another long lost friend. Jennifer X. was my first college buddy. We lived on the same floor and hung out all the time. She made me coffee in the morning before my early classes and her grandmother would send me care packages as if I was her own. We lost touch after I got married and moved away but I still think of her often. Jennifer had a long time boyfriend, they were high school sweethearts. Her parents did not approve and forbid her from seeing him. I didn’t know this until later but when we would go home for holidays, she would tell her parents she was going home with me. When in reality she was going home to her grandmother, with him. She even told her parents she had met a guy at school and was dating him to throw them off her tracks. When listening to the description of this fake boyfriend, I realized she was describing my fiancé (and later husband). She didn’t even change his name, where he was from or what he looked like. To this day, I cannot believe her grandmother was in on it. In the end, they got married, had babies and lived happily ever after (I hope). So I guess her family made peace with her choice in guys. However, at 9 bucks a pound, we decided to wait until later in the season. So I have to admit, I had a little help with this one. I wanted to make this bird for her, my crawfish buddy, but I couldn’t think of a good funny story. So I texted Kristen to which she replied “Lamp Commander, Duh”. And I still couldn’t remember the whole story properly! So while this is a true story, I can’t promise I haven’t taken some poetic license due to my failing memory. We met Jay Kay in that same church home team. One night we were playing with Clay’s newest toy, “The Lamp Commander”. The purpose behind this stroke of genius is that you could turn on a lap without touching it just by giving it a command. Clearly clapping to turn something on and off was just not good enough for the inventors of this fabulous device. You would plug your lamp into it and the clearly say “Lamp Commander” to get it’s attention and then “Lights On/Off”. We all took turns with this, but one person had some difficulty with the Lamp Commander. That sucker would not listen to Jay Kay for anything. Jay Kay had a very strong West Texas accent and the Lamp Commander was most likely a Yankee. In preparation for this post, I looked it up. There is a youtube video for it. The main actor is a blind man who was complaining that he always had difficulty finding the light switch because he is blind. Now, his life is so much better because he has The Lamp Commander. Huh? 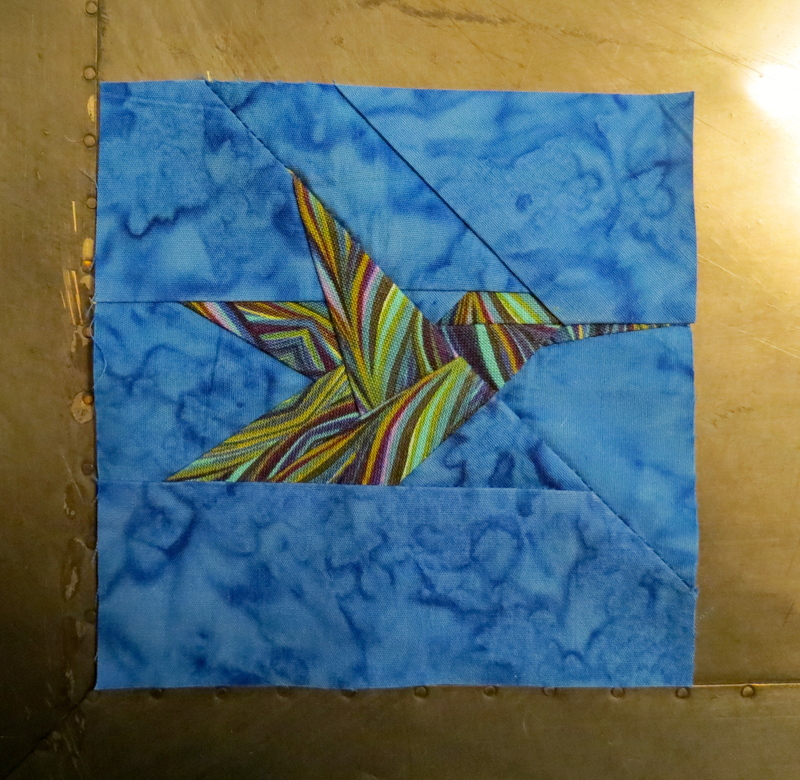 Block #44 for Jeanie M.
This bird goes to another one of those long lost friends, Jeanie M. I have Jeanie M. to thank for my entire career path. When we moved down here I was still in college. I changed my major because I was certain I wanted the glamorous life of a pharmacist. After a couple semesters I left my campus job paying 7 bucks an hour and traded it for 5.25 an hour just so I could get some hands on experience in a pharmacy. Yeah… I wasn’t too bright. The pharmacy was awful. Sick people are mean. Within two weeks I was begging them to let me go back to being a cashier up front. I did meet some great people there. One of them was my manager Jeanie M. She would often let me learn her duties and help out when she was on break. I remember thinking “I can do that”. So I switched majors and went to business school. In my first semester I took a programming course and that was all she wrote. I had found my future career and it didn’t involve being a store manager at a pharmacy. So in retrospect, I seriously owe her. Because, as I mentioned before, sick people are mean. I also owe my current friends to Jeanie, which is ironic because Jeanie and I no longer even know each other. Jeanie invited me to go to church with her one Sunday and a few years later we joined Kristen’s home team at church. 10 years later, I can’t imagine not having these people in my life. I owe my friends, and now neighbors, to Jeanie. 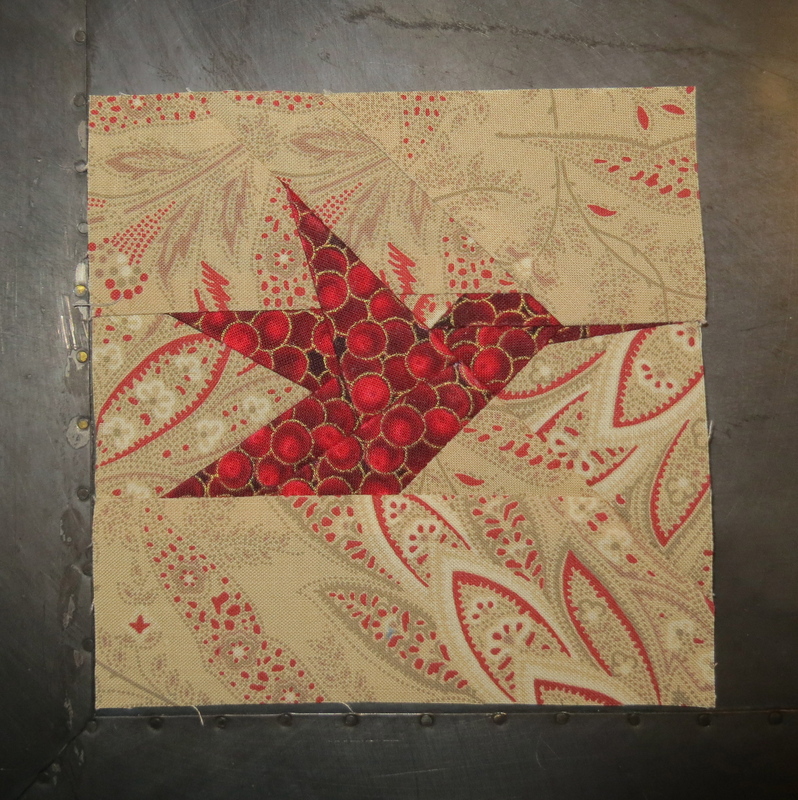 Block #43 For Kristi S.
I am starting to get questions about the birds. People at work ask me how long they take to make and say things like “you mean you HAVE to make one a day all year? ?” as if it is a homework assignment that I am being graded on. Obviously, this is my choice and its not always easy. So I thought I would take a few minutes tonight to elaborate on why I am doing this. 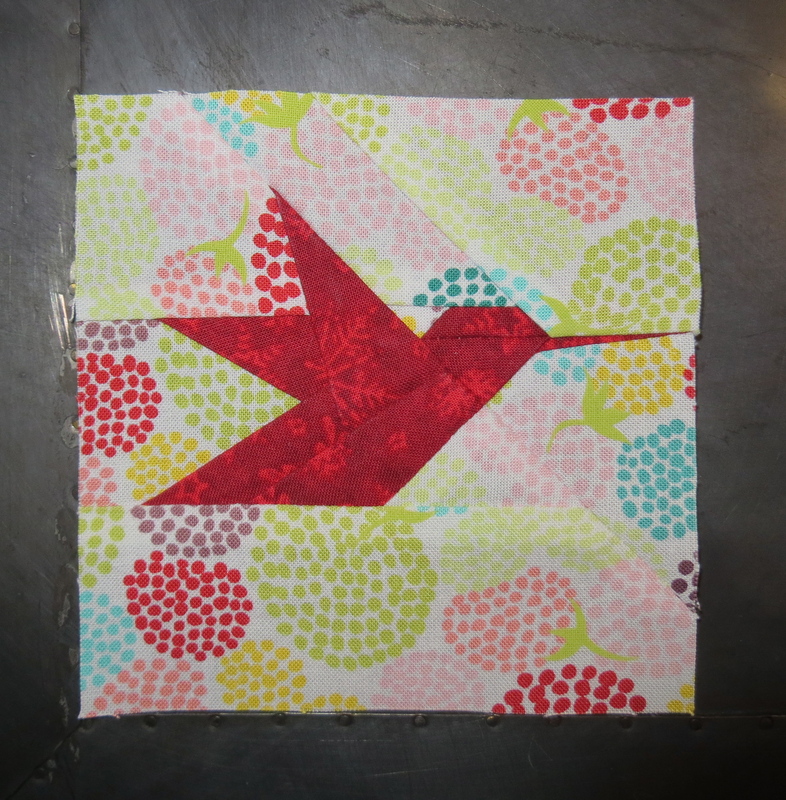 About a year ago I stumbled across the blog “A Thousand Quilted Cranes”. 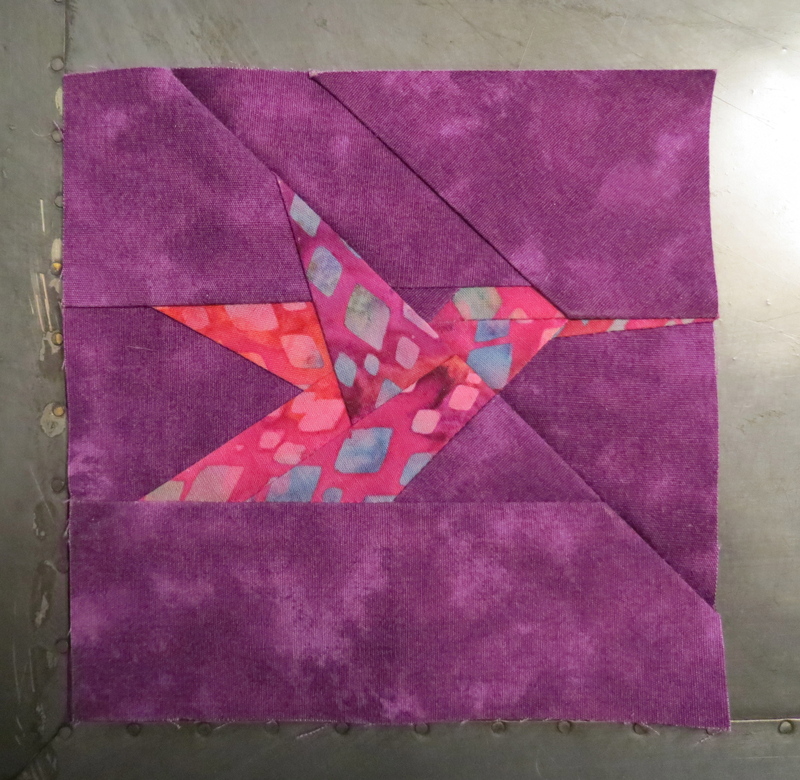 The writer of this blog was inspired by Margaret Rolfe’s peace quilt and dedicating each crane to a person that as affected his life either negatively or positively. 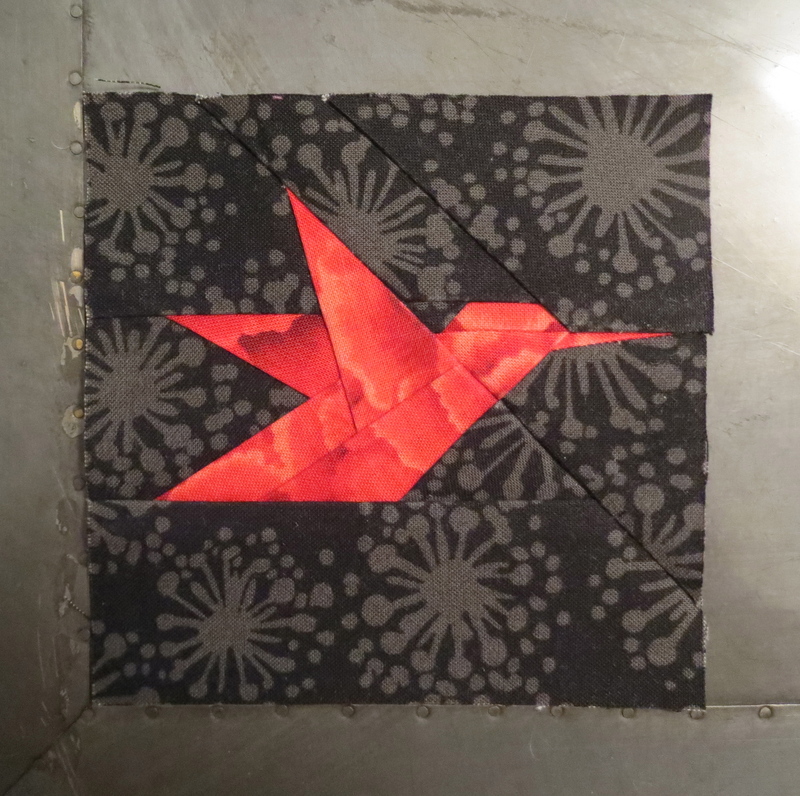 Immediately I wanted to do it too, mostly because the crane was an amazing pattern and I thought the idea was cool. At the time, it was only a cool idea. I never started the project; I just didn’t have enough passion for it. Then this year at quilt festival I was in a class and recognized someone from a previous festival class. I noticed she was always working during class so I asked where she worked. She worked at a BIG company and I know someone at that company, Daniel, so I mentioned him. Turns out, they were buddies and I thought “small world”. During our conversation, I mentioned that I really hadn’t seen him in several years; that we used to work together but we had both moved on. She made a comment that really stuck with me, it was something about friends flying in and out of your life, I can’t remember the phrase exactly, it was something about “seasons” maybe. While Daniel and I were friends and he is awesome, we were never “tight”. But, it still got me thinking about all of the people I was once very close to and how I don’t even know most of them anymore. Some of them I miss and think about often. All of them have shaped me in some way. That is how I found the passion for this project. I wanted to bring back the memories of those those long lost friends and honor the current ones as well. Tonight’s block is dedicated to one of those. I met Kristi S. when I moved to “The Big City”. She was a friend of my husbands friend. She was my very first friend down here. She was going to the same college as me and we started out as carpool buddies. It was nice to have company and help navigating freeways. My husband worked offshore and she was single so we became friends and hung out together all the time. She even went home with me once at Thanksgiving and slept through one of those crazy earthquakes. She was my lifeline here, and I can’t believe that I have no clue where she is now. How can you be in someone’s wedding and then 15 years later, you don’t even know how to get ahold of them. Are people really only in our lives for a season? Is there some sort of limit to how many close friends you can manage at one time, and socially, the herd gets thinned as it needs to? I have no clue. Tonight’s block is dedicated to Angela’s mom Doris. Doris was a second mom to me growing up. We were neighbors, but honestly we were family. One of my earliest memories was of her youngest son being born. I remember we were in grade school and I found out on the playground. I think mom and dad picked up Angela and her sister and they stayed with us until they could go up to the hospital (but that part is a bit fuzzy). But it’s the emotion I remember the best; the joy and excitement of a new baby! I think I was in 3rd grade…maybe. We have already established that I ate at Doris’s house often (see last night’s post). As I got older, I often hung out with Doris even if the kids weren’t home. I remember one day we had an earthquake while I was over there. It wasn’t a major earthquake, but we didn’t have them that often so when we did, it was cool. The house started shaking and Doris yelled “Paula Sue, get under the table”. The oven door popped open and scared the crap out of me (not literally). But that was OK, because I was safe under the table. Doris, however, never got up out of her chair. I remember thinking “Why in the world didn’t she take cover?? She could have been hurt!!”. After the earthquake we went outside, I am pretty sure I ran outside, to see if the neighbors felt it. Our neighbors were sitting in lawn chairs in their front yard the whole time and they didn’t feel a thing. The big scary earthquake that caused the oven door to pop open wasn’t even strong enough to be felt unless you were inside of something, like a house, to notice the shaking. So I guess she was justified staying comfortable while I was crouched on the floor under a table. I miss Angela terribly. I would love to sit on my porch and gab with her over a cup of coffee but we are a thousand miles apart. We chat on Facebook and I got to see her a few years back when I drove through her town, but its not the same. A few years ago, Angela and her mom confessed to me that they had nicknamed me “Iola” after the character from Momma’s Family. They lived right next door and I always managed to show up around dinner time. And they always let me eat. Don’t get me wrong, my parents fed me regularly. My mom and Dad are both pretty amazing cooks. But I was a kid and they had the good stuff next door! They were 100% justified in calling me that. I was a pain.